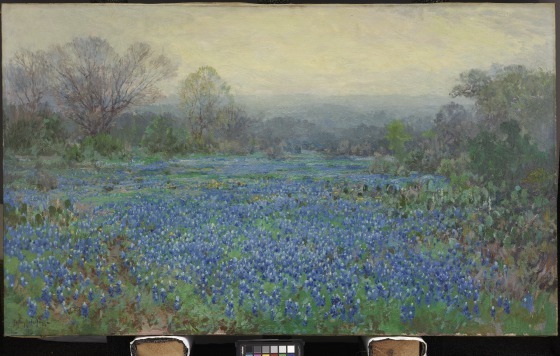 Luxurious blues and greens and loose brushwork capture the ever-changing effects of a field of bluebonnets. 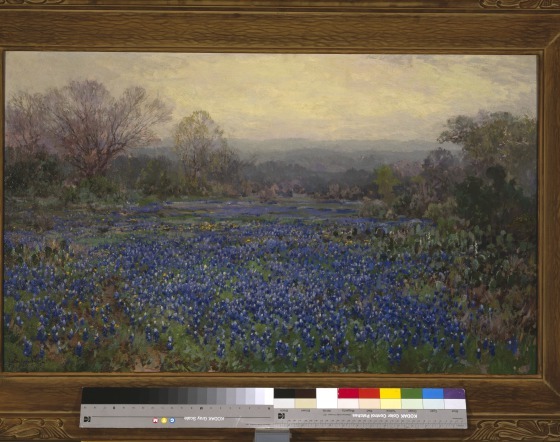 This humble state flower of Texas was forever transformed by the brush of San Antonio-born Julian Onderdonk, one of the greatest early Texas artists. 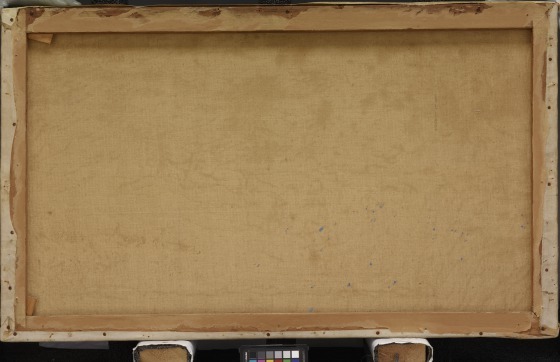 Originally trained by his father, Robert Jenkins Onderdonk, himself an important early Texas painter, Julian Onderdonk studied with William Merritt Chase. Chase stressed the importance of working outdoors and paying close attention to effects of light and shadow. 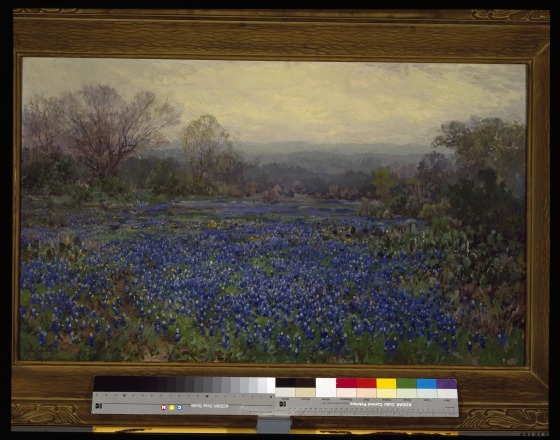 Onderdonk applied these lessons to his native scenery when he returned to Texas around 1909. 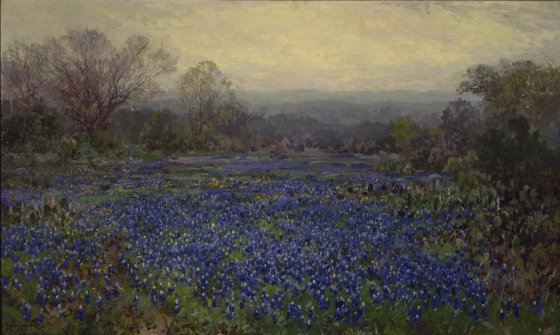 His enormously popular landscapes spawned a host of imitators after his early death at age forty; however, none of them ever equaled Onderdonk's use of the Texas landscape as a way of investigating the dynamic experience of nature itself. 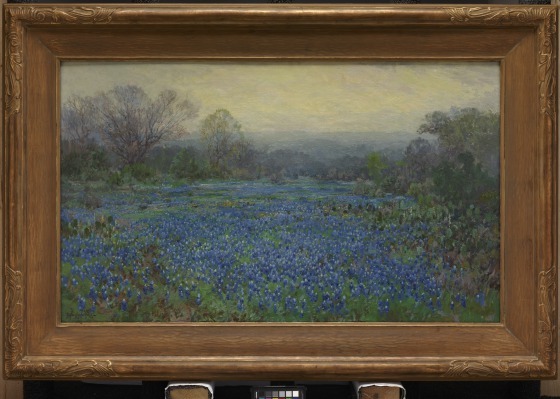 This untitled landscape with a colorful field of bluebonnets is one of several other works by Julian Onderdonk in the Dallas Museum of Art collection that reflect the cultural atmosphere from which the artist sought inspiration. Pitman, Bonnie, ed. 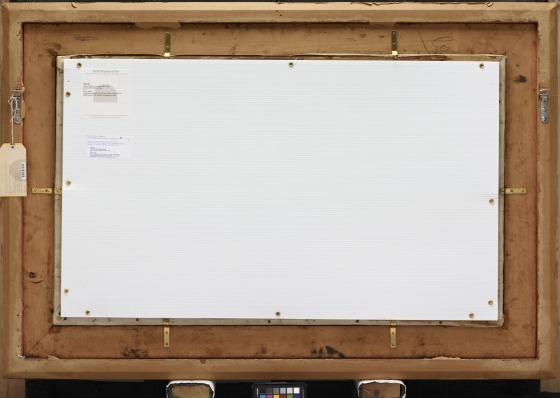 "Dallas Museum of Art: A Guide to the Collection." Dallas: Dallas Museum of Art; New Haven and London: Yale University Press, 2012, 270. 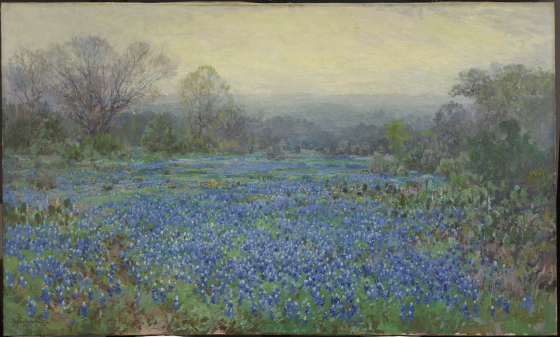 Bluebonnets were named Texas' official state flower in 1901. 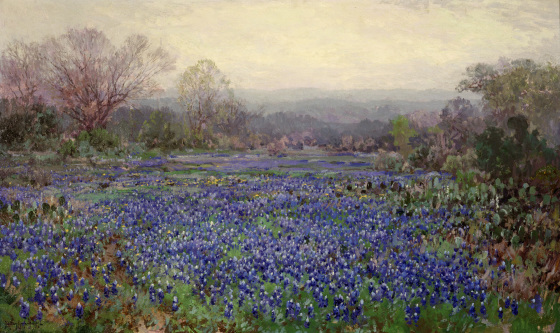 In 1914, Julian Onderdonk said, "I like the bluebonnet because a field of this Texas flower seems just to have burst from the ground and it trembles subtly, making it very beautiful." Learn more about Texas bluebonnets. Check out the legend of the bluebonnet on WFAA's website.